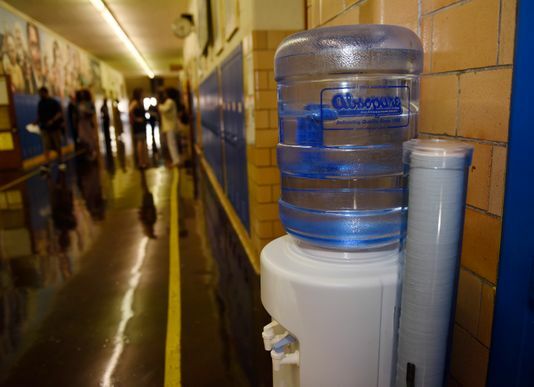 As Black families in Flint are still calling for action after years of lead exposure, recent reports have revealed lead-tainted water in Detroit -- this time in the Detroit Public Schools Community District. Like in Flint, Black children in Detroit must deal with threats like elevated lead and copper as a result of systemic racism ensuring that they would be exposed to the worst our nation and Detroit has to offer due to their crumbling infrastructure. Now is the time to act on behalf of the future of Black students. We have already seen the results of neglect in this drastic action to cut off water in all of the schools. In the richest nation in the world, we are seeing Black children being exposed to lead in Flint and Detroit. We demand action to protect Black children now. By signing below you will be agreeing to the following. We demand that the leaders of Michigan take action to protect students in Detroit by adopting a plan to address toxic infrastructure. First, we must remove lead-bearing pipes and plumbing, then we must install filters certified to remove lead, and finally allow no more than 1 part per billion of lead in school drinking water, as recommended by the American Academy of Pediatrics.